It is no news that India is seriously investing in the hair business. Indians are known for their waist long silky hair. Across the world, human hairs are ordered from India because of their quality. Some may also argue that the Chinese hairs are the best. Either way, both countries are widely known for the trending human hair extensions. Report says that Africa, Europe and the US are major customers of the Indian hair market. For series of advantages like durability, tangle-free, natural blend with the hair, and styling versatility, the human hair is often preferred over the synthetic hair weaves and wigs. While you may have heard or read some things about the origin of the Indian human hair business; there are some other shuddering facts you didn’t know. Indians recognize and practice a ritual of devotion which demands the shaving off of the hair. The hairs are often seen as traditional offerings to their deities in exchange for wealth, good health and other favours. 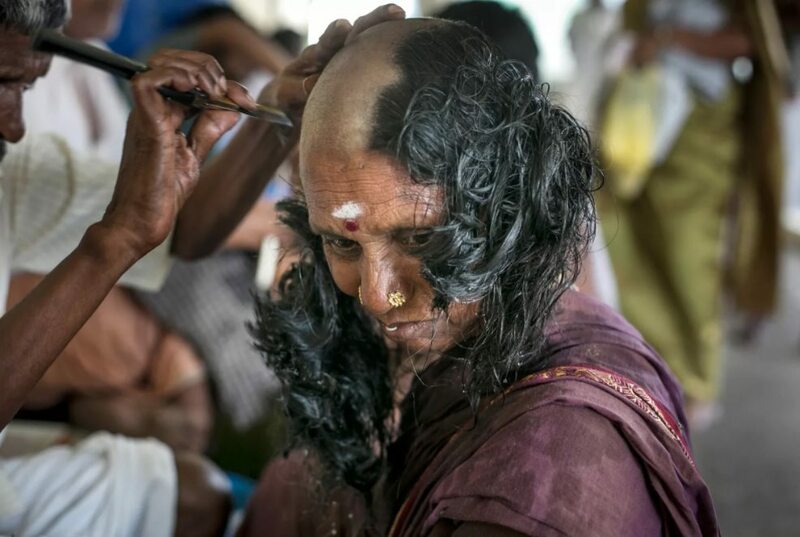 Hundreds of pilgrims at Indian temples take turns waiting for their hairs to be shaved. For a temple like Thiruthani Murugan, the pilgrims, often women and children will have to climb 365 steps to reach the shrine. After that a yellow paste of turmeric powder is applied on their scalp; then follows prayer offerings. This ritual is open all year round for interested persons. The Tirupati Temple is visited by about 20 million annual Pilgrims. While the hair shaving was a religious act the end point of the hairs is financially lucrative. 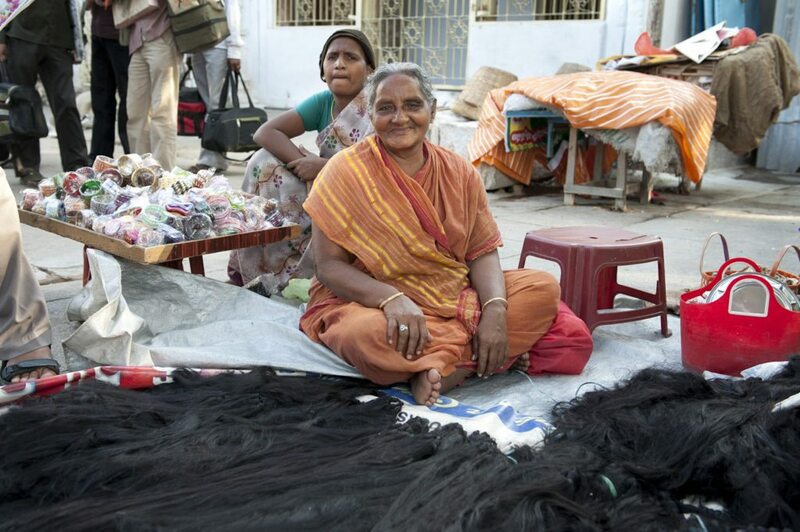 Some Indian temple attendants sell these hairs to interested hair merchants and fashion industries. What is made from the sold temple hairs is then used for the maintenance of these temples. In one year the Indian temple hairs generate an annual revenue worth over $300 million for both temples and exporters. Perhaps we can put the blame on ignorance as the buyers spend an insignificant amount compared to the future cost price when it is processed into fine soft and silky hair extensions. With the popularity of the human hair the temple costs have increased, still, it does not come close to the thousands of pounds they will be sold for across the world. A 2008 report revealed that British women spend about £65 million a year on hair extensions. Outside the Indian hair sacrificing ritual, hair merchants scout for personal clients. The price tag on these cut hairs depends on the length. The ones shaved directly from the scalp are more expensive than mid-length or comb waste hairs. An American based South African model and singer, Jamelia, in her BBC investigation into the human hair business discovered so many awkward facts about human hair extensions. In the course of her investigation, she found that it was likely though uncertain that people may go as far as shaving the hairs of dead people without due authorization. According to India’s government official, EVKS Elangovan, the Indian Temple hairs produces only a quatre of the bulk that gets to the market. Elangovan said the chase for human hairs has made India “an environment that breeds illegality.” Worse still there are no regulations on the importation and exportation of human hairs. Many women and children have been attacked and had their hairs shaved by force. She says some husbands have exploited their wives and children in the same way.